Hello! I just came back from a 4-day trip in Ilocos and I'm definitely itching to write about it. I still need to get some stuff done before I can blog about my vacation, and also some things I left behind: my solo dining experience at Poco Deli, our funny morning pre-breakfast at Cafe Momo and more about the Big Blog Exchange and the blogs I support in that project. 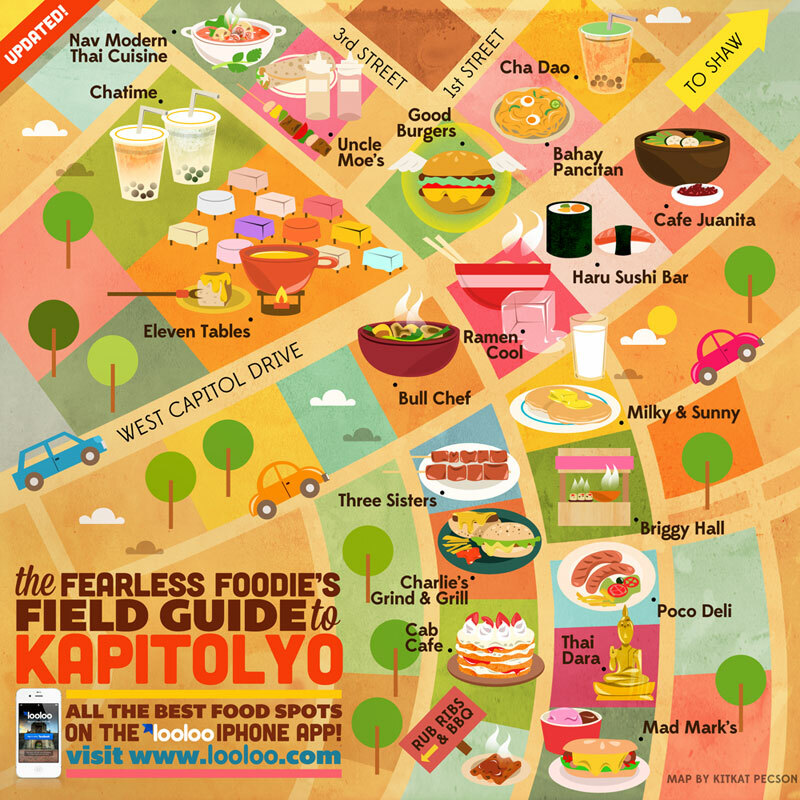 While I was browsing the Internet, I found this food guide (more of food map?) of Kapitolyo in Pasig. I've been to a couple of restaurants there and I'm sure this would be of great help to those who are not familiar with the area. Design by Kitkat Pecson for Looloo. There's so much to explore! Happy food trip!